Save time and reduce stress with easy isolation, suction, and retraction. 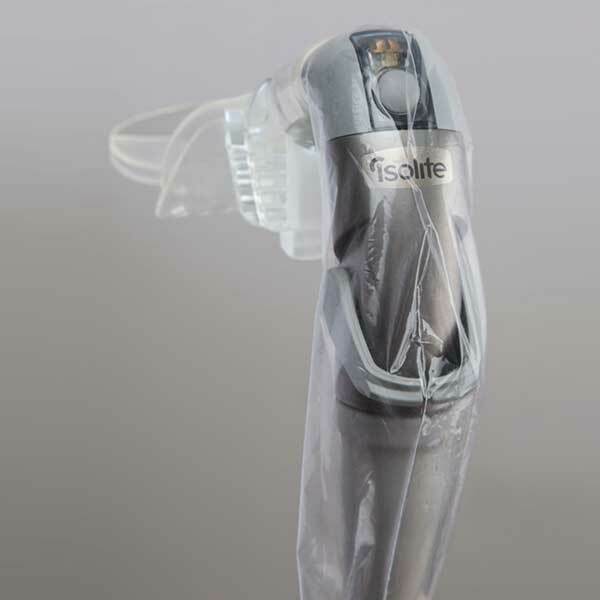 Isolite is a dental isolation system for clinical use by dental professionals that integrates directly into your dental chair. 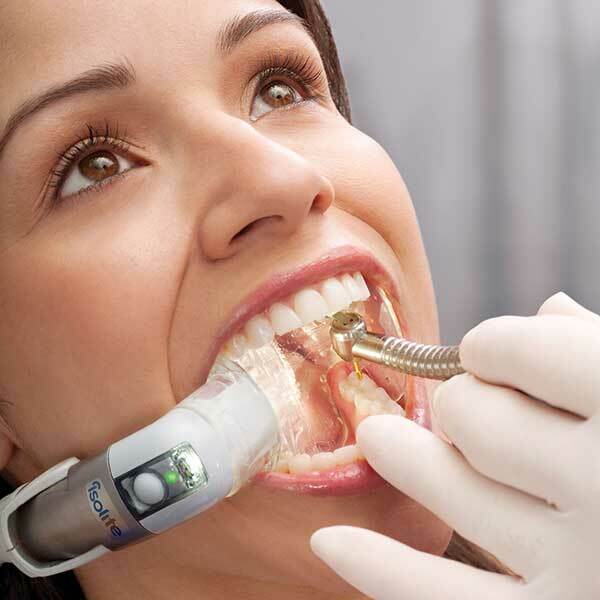 The system is designed to isolate two quadrants at once, simultaneously providing intra-oral illumination, tongue and cheek retraction, and continuous suction. 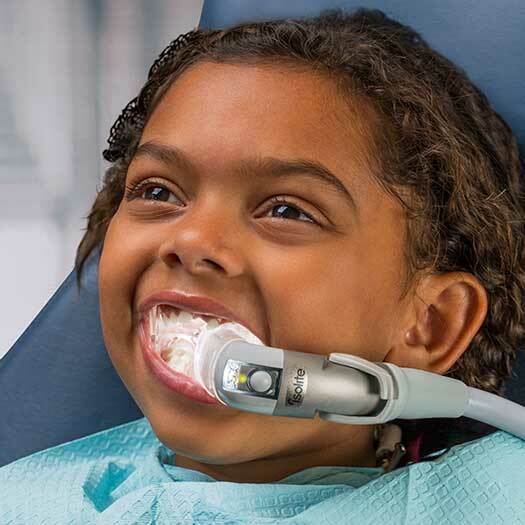 The retraction and continuous suction are the important functions that control the oral environment, reducing contamination and increasing patient comfort and safety while protecting the airway and soft tissue. Work effortlessly in two quadrants at one time. Accessories Included: Suction Line Plug, Mouthpiece Lubricant, 3/8" Y-adapter Kit, Double End Tube Brush, and O-ring Maintenance Kit. I had a chance to see and use the system at a colleagues office recently and was absolutely hooked. I ended up purchasing one for each operatory (3) and have been very happy with the quality and functionality of the product. It's not a reach to say that it has changed the way I practice dentistry for the better. I can't remember the last time I placed a rubber dam. I use these with any molar composite and root canals on any tooth. Patients love how comfortable they are and I love that I can keep a dry field to work in. I have never tried similar products so they may work comparably but I will stick with these. I bought the ISOvac recently and love it just the same. I love the great access provided by the Isolite system. The procedure field is perfectly illuminated and cheek and tongue retracted and protected. 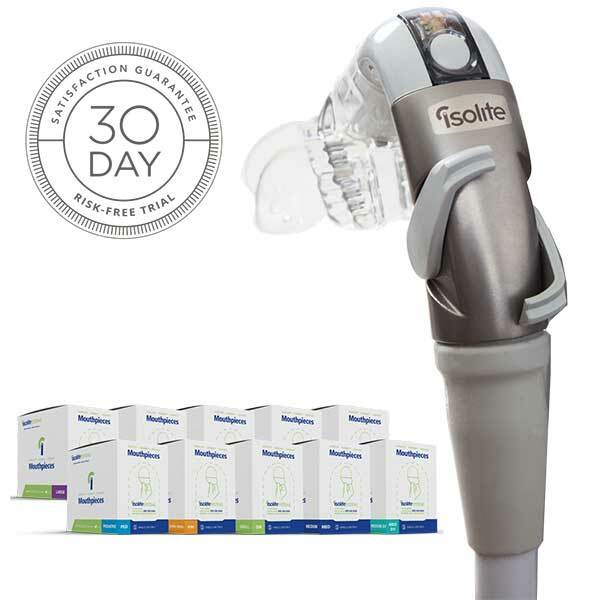 Isolite is well tolerated by the vast majority of my patients and has proven itself to speed procedures and maximize comfort for both patient and operator. I started a dental practice from scratch. I don't have that many patients yet. I was paying an assistant to seat idle and sleep while the suction sucked the patient's tongue. I let her go and purchased the Isolite. Isolite is the best assistant I ever had. I can very comfortable work by myself with the Isolite. This is one of the best products I have ever come across. I bought one years ago before it was LED. A bit unwieldy due to the light box which didn't always secure the light cable well. The LED version fixed all that. Isolation is a breeze. The field stays dry and I can work on upper and lower arches at the same time. I will occasionally supplement with a cotton roll but for the majority of patients there is no need. Patient feedback is overwhelmingly positive. The light is extremely bright, but if you use a headlamp the IsoDry (a non-lighted version of the Isolite) may be right for you. I don't even use the light on the Isolite anymore, so I will be giving the Isolites to the hygienists and purchasing the IsoDry for my rooms. Works great with CEREC also! The Isolite is my second assistant. It's never late to work and doesn't call in sick. It keeps the patient's lips tongue and cheeks protected and doesn't let them aspirate anything, and as the name says, it' keeps your working field dry. It's second best to rubber dam, but takes a fraction of the time to insert. After 4 years of using an Isolite I2, I won't ever go back to the old cotton and suction or rubber dam methods again. My patients are nearly unanimous (except the occasional severe gagger) that this makes their visit better. Learning to choose the right size mouthpiece makes a big difference in how well it works, but that will only take a few patients to get down. This will make your procedure times go down, increase the efficiency of your staff, improve patient comfort, improve visibility, improve outcomes, etc. I can't say enough good about the Isolite.